Matusch GmbH is now the exclusive representative for the KranXpert software. The company is developing the crane scheduling software E.P.O.S. for over 20 years and has now extended the cooperation with KranXpert. A new kranXpert version (1.9.1.1) is available. Please update kranXpert from the welcome window. A new kranXpert version (1.9.1.0) is available (changes). A new kranXpert version (1.9.0.0) is available (changes). New kranXpert demo version available download. New kranXpert pre release version is available (1.8.1.2). A new kranXpert version (1.8.1.0) is available (changes). A new kranXpert version (1.8.0.0) is available (changes). 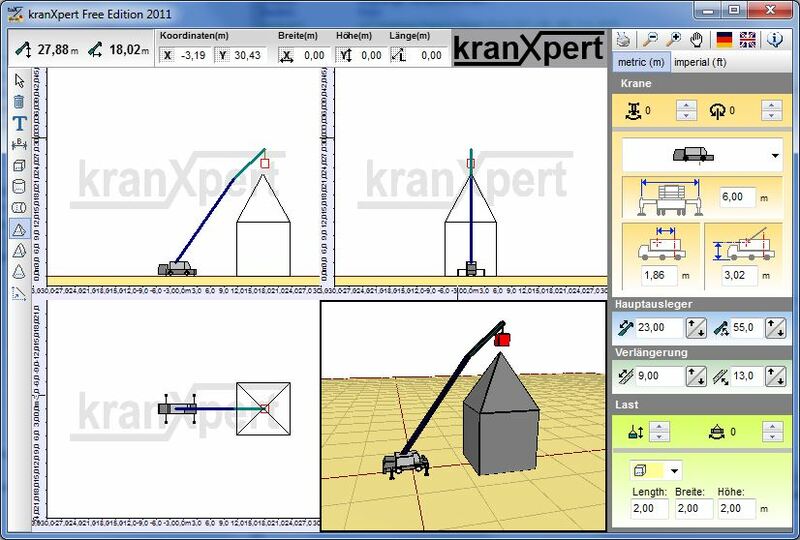 New kranXpert demo version 2013 available download. A new version of the kranXpert Free-Edition is available. A new kranXpert version (1.6.0.0) is available (changes). Please update your kranXpert version from the welcome window or use the setup downloads in the customer area. 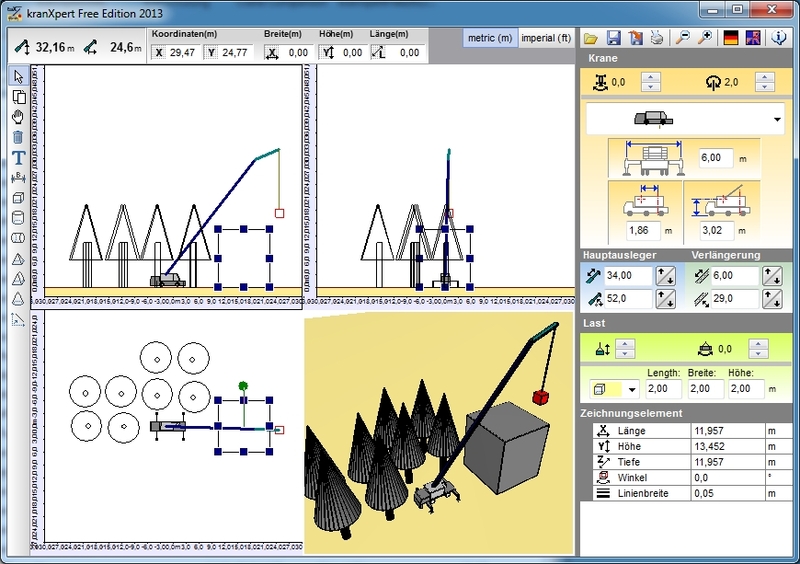 In this 2011 version you can plan a crane lift in the left view, top view and in the new 3D view. 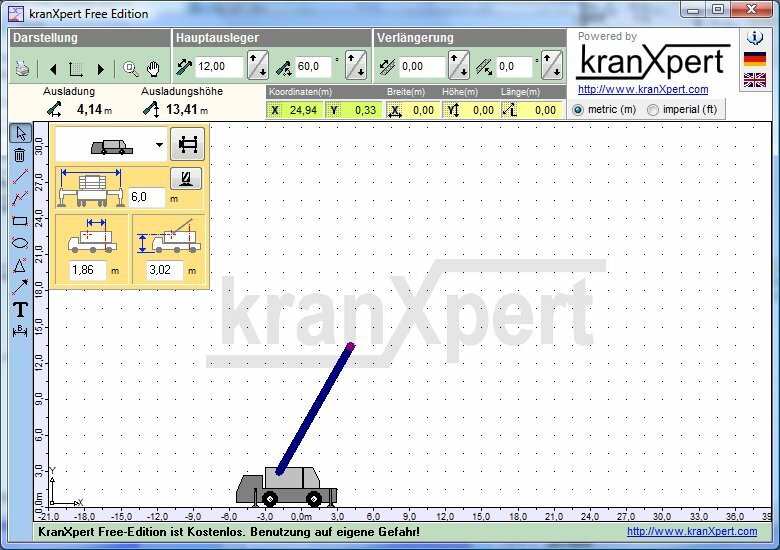 New kranXpert demo version 2011 available download. A new kranXpert version (1.5.0.0) is available (changes). Please update your kranXpert version from the welcome window. Michael Harrison from Harrison Crane created a Facebook kranXpert user group. Please join the Facebook group comunity. 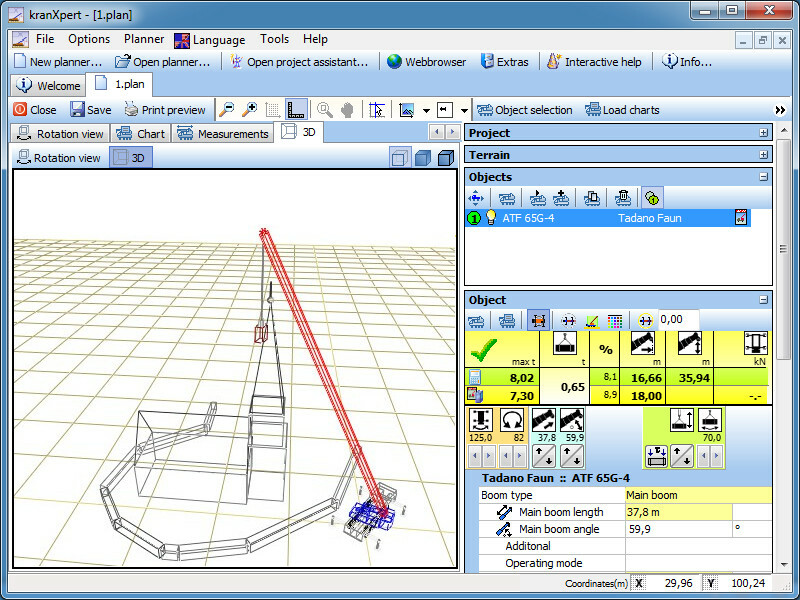 In this 2010 version you can plan a crane lift in the left view, top view and in the rotation view. The display of the load is also available. Currently we are working on a 3D version of kranXpert for information on this, and other developments, check out our new blog. A new kranXpert version (1.2.9.0) is available (changes). kranXpert UNIC-Edition is available. Download the demo version here. 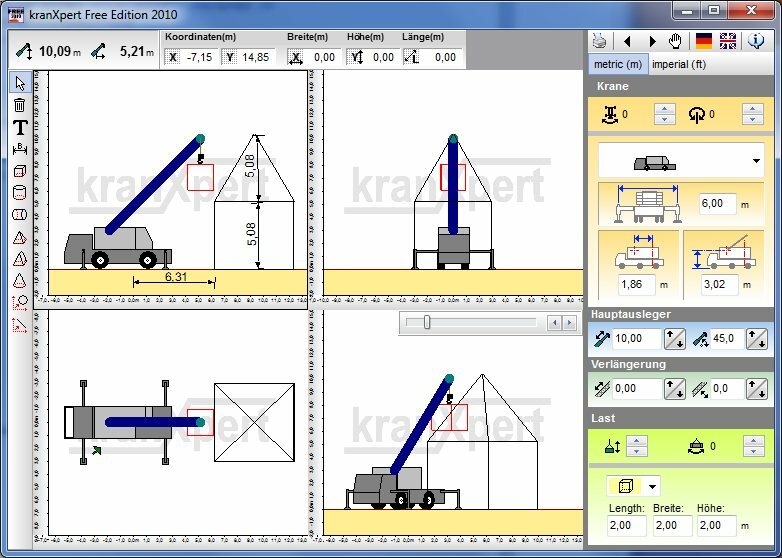 kranXpert users can, with the upcomming version 1.2.9.0 use UNIC cranes (release afert BAUMA). A new kranXpert version (1.2.8.0) is available (changes). A new kranXpert version (1.2.7.0) is available (changes). New kranXpert demo version 10/2009 available download. kranFileEditor version 1.1 is available. With this version you can create cranes for the upcomming kranXpert version that supports sl, ssl, derrick, a-bock and suspend counterweight view. In the Tools section you can find the kranFileEditor. With the kranFileEditor you can create import files for kranXpert. A new kranXpert version (1.2.4.0) is available. New kranXpert demo version 03/2009 available download. 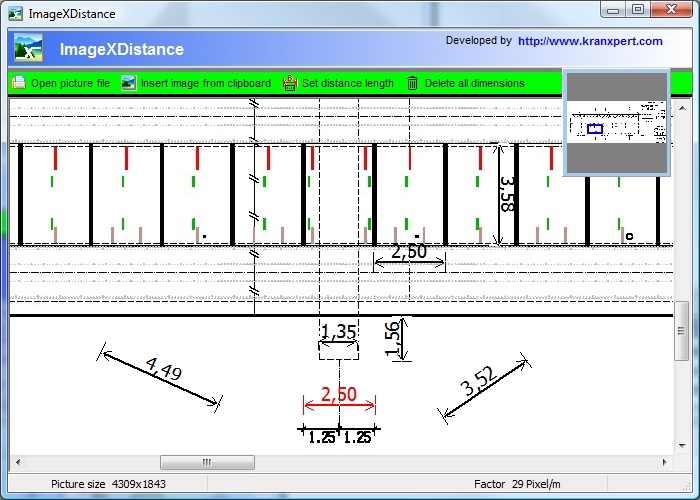 In the new menu Tools you find the program ImageXDistance for download. With this software you can measure out pictures for job planning needed measures. The homepage of kranXpert have now a wiki in that you find the crane Import file format description. The documentation and tutorials of kranXpert will in future completely stored in the wiki. kranXpert for Pocket-PC is available. The Pocket-PC version of kranXpert is like the kranXpert-Free-Edition but for Microsoft Mobile from version 2003. A new kranXpert version (1.2.2.0) is available. 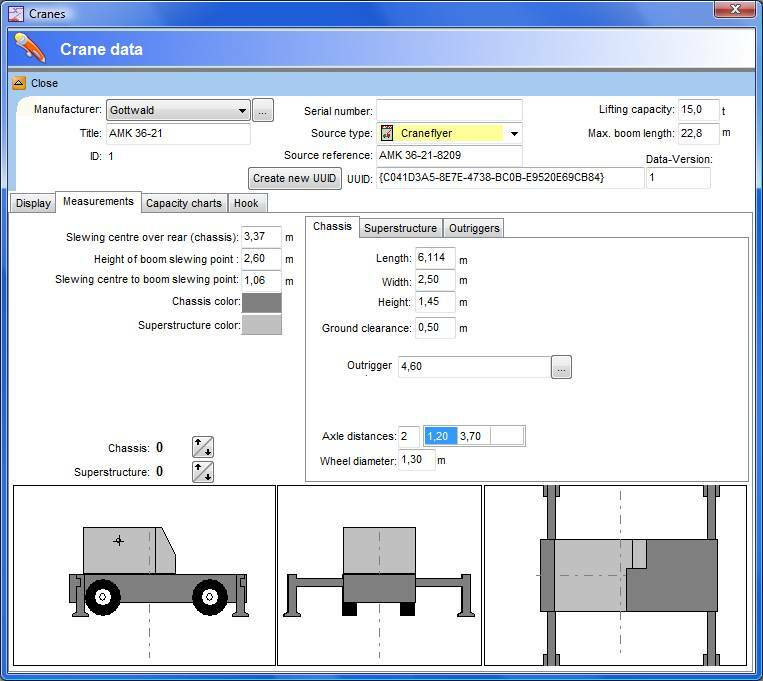 It's a very light and free crane job planner software like drawing on a drawing board. A new kranXpert version (1.2.1.0) is available. Please update you're kranXpert version from the welcome window. 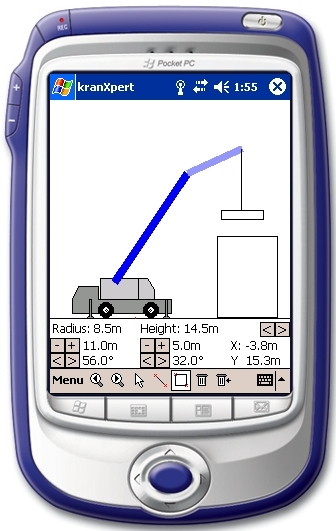 New demo version 02/2008 with metric and imperial demo crane data. The company Matusch GmbH now in the partner section. Matusch GmbH developed the Equipment Planning Organisation System (E.P.O.S.) that archive kranXpert planning projects.